What’s racist about dots and feathers? “Dot or feather?” is a racist idiom sometimes heard in conversation in the U.S., when asking or joking about whether someone is of South Asian or Native American descent. 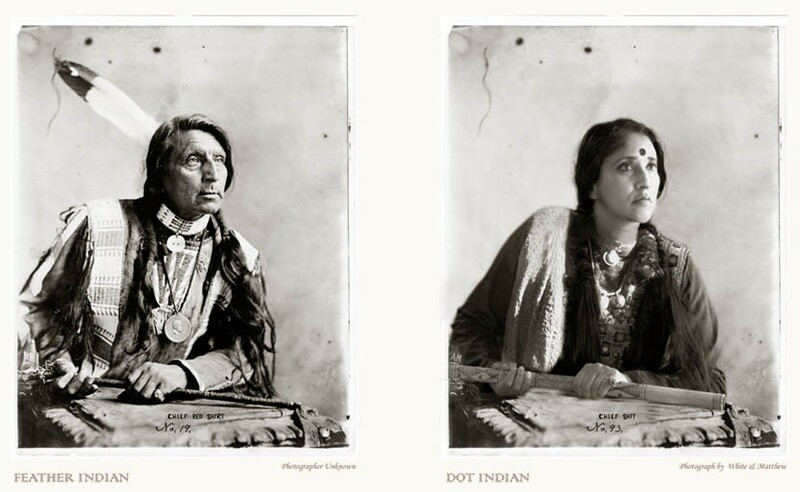 The “dot” refers to the bindi worn by the Hindu majority religion of India, and “feather” refers to those adorning the regalia of many Native American tribes, seen most often during ceremonies or powwows. Q: Were the actions of Loretta Sanchez ‘racist’? A: To only label it as “racist” is to perpetuate the stereotyping at the core of her mistake. Clearly it was derogatory, and sadly it fell into the familiar patterns of stereotyping of Native Americans and making them into ‘the other.’ Ironically she was also addressing an audience of Indian Americans that are also considered outside of the majority. Compounding that is the fact that she is part Native American. Q: What would you say to Loretta Sanchez? A: With your own background as a minority, a woman and as part Native American, as someone who has spent much of her life being treated as the other, I am surprised at your insensitivity. Having said that, I also hope this one incident is not the only thing you are judged on. I hope you can use it as a teaching moment. Q: Why are ‘Indians’ and ‘Native Americans’ often confused terms? A: ‘In 1492, Columbus sailed the ocean blue.’ Looking for India he found the New World instead and named the people Indians. Since then there has been a great deal of confusion! More seriously, in Canada, the Native Americans are called First Nation. This acknowledges the history of who was here first and also separates itself from the confusion that Columbus created. *Image courtesy of Annu Palakunnathu Matthew and sepiaEYE. This entry was posted on May 20, 2015 by Lakshmi Sarah in Uncategorized.